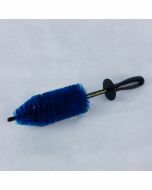 The EZ Detailing Go EZ Detail brush is made of soft yet durable Nylex and Nylon bristles that gently loosen and remove dirt from all kinds of surfaces without scratching or dulling. 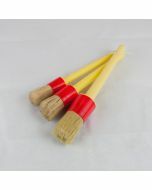 EZ Detail brushes are made of soft yet durable Nylex and Nylon bristles that gently loosen and remove dirt from all kinds of surfaces without scratching or dulling. 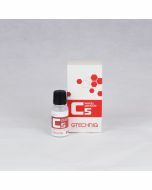 They come n 3 different sizes to suit a huge range of uses. 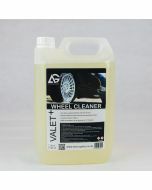 You’ll find that having a set of these will come in useful for all sorts of tasks, from cleaning wheels on your car, to removing dirt from all sorts of nooks and crannies around your engine bay and much more. The brushes provide amazing coverage due to the their thick bundles of soft bristles. 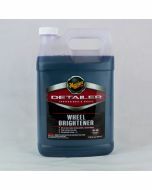 These soft bristles will not scratch or dull the surface of your wheel and best of all they are chemical resistant meaning you can use the EZ Detail Brush with any type of wheel cleaner. 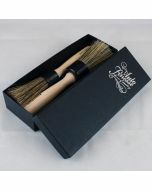 The brushes also have flexible stems which conform to whatever you’re cleaning. And it has a vinyl covered tip to help prevent accidental scratches and scrapes. 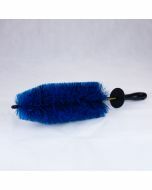 Above the ergonomic handle the EZ Detail Brushes have a rubber hand guard to protect your knuckles. Let these brushes find a way into your detailing kit and you’ll wonder how you ever managed without them.